It's fun to gather the bright colors of Autumn together to celebrate the season. 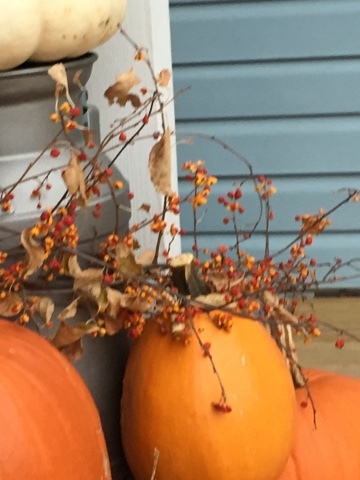 And nothing says Fall like the bright orange of a beautiful pumpkin. 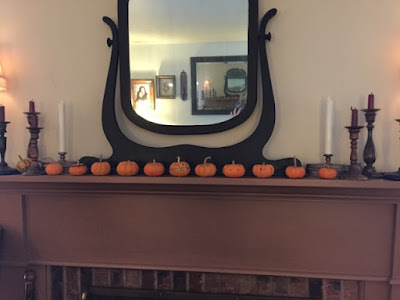 This year we were gifted several large pumpkins and gourds to make my daughter's baby shower and later our side porch, especially inviting and homey. 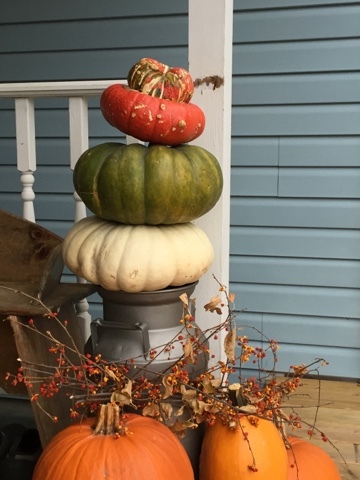 I added a few springs of bittersweet to the stacks of pumpkins, the old milk can and bench that sit side by side year round to add a delicate touch. 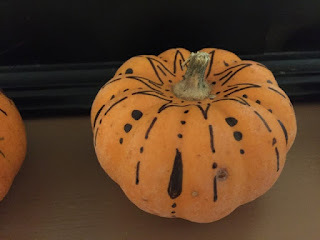 The tiny little pumpkins sitting on my mantle were decorated in a sort of henna fashion for the shower and mixed with gourds on each table. If I could dry them for future use, I would.